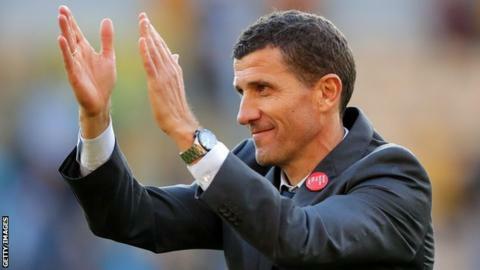 Watford manager Javi Gracia has signed a new four-and-a-half-year contract with the Premier League club. The 48-year-old Spaniard, who has also coached in Spain, Greece and Russia, was appointed in January on an 18-month deal following Marco Silva’s dismissal. His new contract commits him to the Vicarage Road outfit until 2023, with the option for a further three years. The Hornets finished 14th last season and are currently ninth, eight points behind fourth-placed Chelsea. Gracia is the ninth Watford boss appointed during the ownership of the Pozzo family since 2012 and becomes the first coach to sign a contract extension with the club in that time. Watford chairman and chief executive Scott Duxbury said: “We are delighted that Javi has agreed an extension to his contract.